If you’ve never read through Acts, you may have missed one of the best characters in the Bible. Not “best” as in the kind of person you want to be or to hang around, but “best” as in most entertaining. That’s right, friends, today we get to hang out with Felix. Never heard? Not to worry; you’ll probably remember him after today. Felix was a governor in the time of Paul, and like Jesus before Pontius Pilate, the Jewish leadership brought Paul before a Roman (Felix) to put him on trial. 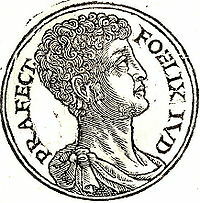 Felix had a wife named Drusilla (actually, he was married three times, and the first two wives were both named Drusilla. That can’t be normal.) who also was in attendance when Paul was brought to trial. Here we get into Felix’s awesomeness; he talks with Paul for a while, can’t find anything wrong with him, but leaves him in jail for two years so that Paul has ample opportunity to offer Felix a bribe. When he (Felix) gets called back to Rome for being a complete loser as governor, he leaves Paul in prison as a “favor to the Jews.” Real humanitarian, that Felix. Verses 24 and 25 give us great insight into Felix’s character: He [Felix] sent for Paul and listened to him as he spoke about faith in Christ Jesus. As Paul talked about righteousness, self-control and the judgment to come, Felix was afraid and said, “That’s enough for now!” Notice what’s going on here. Felix enjoys talking to Paul about theology and miracles, but when it gets personal, when it’s a matter of self-control and judgement, Felix has heard enough and shuts the conversation down. Now, we may laugh at Felix (perhaps rightfully so), but maybe he’s not so different from us. Many of us like getting into debates over politics, or fine points of theology, or sports, or whatever; but when it comes time to be serious about changing ourselves, then suddenly we want to shut the conversation down. We’d rather hear about Jesus feeding the five thousand than about dying to ourselves and taking up our cross. But which is really what God wants to show us? Are you able to look at the full message of Christ today? We have this strange obsession with keeping things fair in our society. Often we hear that the Constitution guarantees our happiness; actually, to quote Mr. Benjamin Franklin, the Constitution only guarantees the pursuit of happiness; you have to catch it yourself. This attitude can often leak over into our spiritual life as well. How many of our prayers sound something like this: Dear Lord, we just need a new car (so we don’t have to be embarrassed with our rust held together with duct tape), please help me get that promotion (so I don’t have to work under that nincompoop anymore), please help Kohl’s to have a sale this weekend (so I can look as good as Mrs. Glesterhosen down the street). We may not say the phrases in parenthesis, but that’s really what we’re thinking. Many of our prayers are really about our happiness and making things fair, not about building a relationship with God. The truth is life isn’t fair. It never has been, it never will be this side of heaven (and even then, Jesus only has one left and right side with places reserved for someone other than you and I, I’d wager.) Even Jesus’ earliest followers found this out. In Acts 12, Peter finds himself in jail. An angel shows up and says “Get dressed Peter; time to go,” and off Peter goes into the wild blue yonder. In our reading for today, Paul finds himself in prison, and an angel shows up. Guess what the angel says. “Take courage, you’re gonna stay in custody until you get to Rome in a few weeks/months, and will be under arrest there for 2 years.” (EverydayDevotions paraphrase). What’s the deal? Peter gets let out and Paul is told to settle in for the long haul? How is that fair? 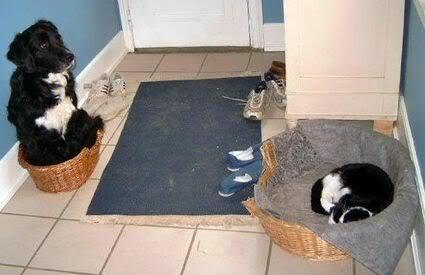 In an nutshell, it’s not fair. “Fair” is rarely God’s purpose for our lives. Peter and Paul both served the Lord, but in different ways. Both of them were right where God wanted them to be, even though their circumstances were radically different. Our goal in life should not be to equalize blessings, but to be in God’s service to the uttermost of our ability. If we obsess over how “unfair” things are, we may miss out on fully becoming what God wants us to be. Can you go the whole day today without praying for life to be more “fair”? Can you pray just to know and be in God’s will? What if there were no hypothetical situations? And……there it is. 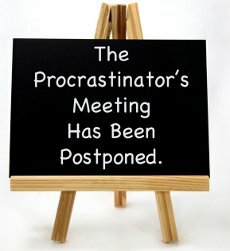 That’s right, my friends, it’s Irony Day here at EverydayDevotions.com, which means I may have to type slower so everyone can keep up. They say it’s bad form to leave people behind, though you can never believe generalizations. That said, there’s not much in this world that I would consider better than irony (though I would give my left arm to be ambidextrous), and today we get a healthy dose in the life of Paul. As Paul is coming into Jerusalem, he runs into some well-meaning friends who tell him some of the Jewish leadership is after him. In order to appease the trouble makers, Paul agrees to purify himself and some other men as an act of good faith to show that he still followed the Jewish ceremonial law. After the purification, Paul is hanging around the temple, and the Jewish leaders come and arrest him for bringing non-Jews into the Temple. See the irony? Paul’s friends want him to avoid a confrontation with the existing leadership, and the very actions they recommend lead inexorably (*vocab word alert*) to that conflict. I love this story because it highlights our human desire, and yet inability, to control our fate. Paul seemed to know that trouble awaited him in Jerusalem, but went anyway because he felt that’s where God was leading him. We can almost see his sigh and possibly a weary smile as he humors his friends and follows their advice, all the while knowing that God’s will would be done. Our goal in life should not be to avoid suffering, as Jesus seemed to indicate that suffering was not only common to all men, it would also be particularly likely for his followers. Instead, we need to focus our energies on knowing Him and serving Him, trusting that He is working all things together for good despite our outward circumstance. If Paul had never been arrested, he may never have made it to Rome; it’s hard to tell where our road may lead. Only God knows, and he rarely shows us the whole map at once. Wouldn’t it be nice if he did? Don’t you hate rhetorical questions?